Among all of the talk of how America could elect a known misogynist and racist as its highest leader, CNN political commentator Van Jones had the perfect description for the devastation of Tuesday evening's election results: a "whitelash." While this concept is terrifyingly straightforward — that white people, and white men in particular, felt as though they were rendered powerless under the first black president — Jones argues this topic hadn't received enough attention on election night. Thankfully, he decided to bring it to the forefront. 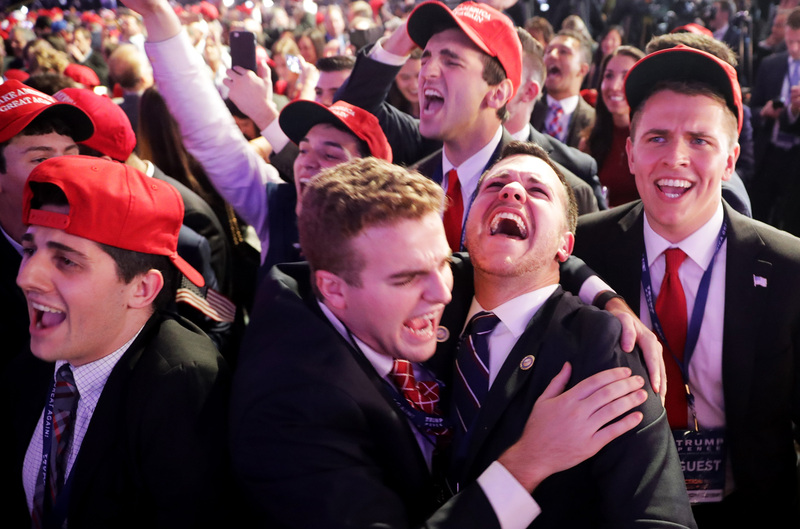 Donald Trump's victory was created by a perfect storm of racists feeling emboldened after President Obama's two terms and those same people believing they were left behind by a system that began to look at equality over whiteness. In describing this event as a "whitewash," Jones gave the perfect name to this terrifying nightmare. He likewise described the fear felt by many families throughout the country, who are now faced with the task of having to explain to their children in the morning what this means for them. Will they have to leave the United States? And what of the morals parents instill in their children — to be kind, to work hard, and be prepared? This was many things. This was a rebellion against the elites, true. It was a complete reinvention of politics and polls, it's true. But it was also something else. We've talked about everything but race tonight. We've talked about income, we've talked about class, we've talked about region. We haven't talked about race. This was a whitelash. This was a whitelash against a changing country. It was a whitelash against a black president in part. And that's the part where the pain comes. And Donald Trump has a responsibility tonight to come out and reassure people that he is going to be the president of all the people he insulted, and offended, and brushed aside. Yeah, when you say you want to take your country back, you have got a lot of people who feel we are not represented well either. But we don't want to feel that someone has been elected by throwing away some of us to appeal more deeply to others. This seems to be about the most accurate description of what happened on election night. Donald Trump set his campaign to take the country back, and he's done it by shoving us back several decades.